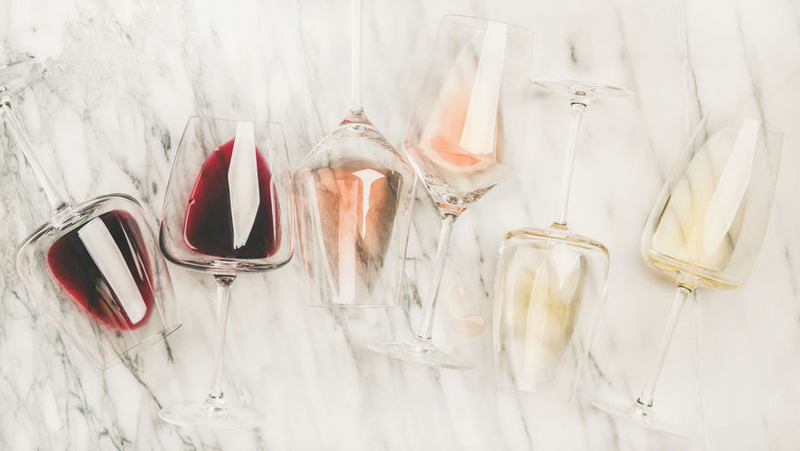 If Cabernet is a firm, full and punchy Hemingway novel, and Champagne is a rollicking, decadent work by Fitzgerald, then rosé is that ephemeral Daphne du Maurier romance you break out right as the spring season winds down. 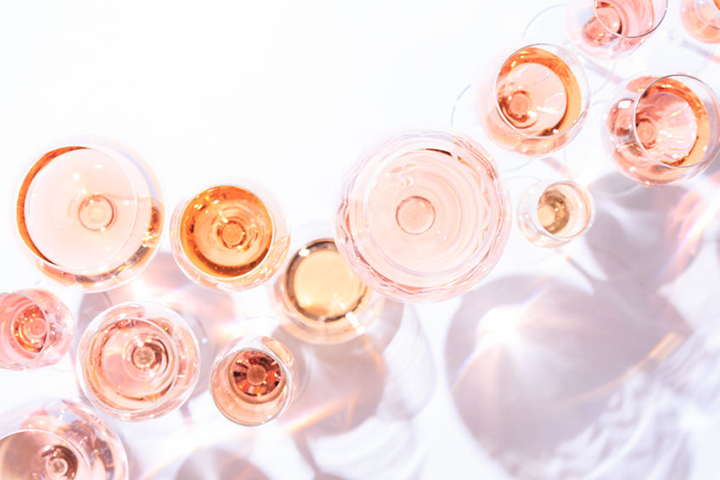 You’ll find that deconstructing rosé is just as breezy and complex as the wine itself. To answer the question of how rosé wine is made, it helps to provide a little bit of historical context to your favorite bottle. Long before rosé made the voyage to America, ancient Greek revelers diluted white wine with red grapes. The dry, light taste of this early rosé remained trendy all the way up to the sixth century B.C., when the Phocaeans brought both red and white grapes – along with their popular pink wines – to southern France. 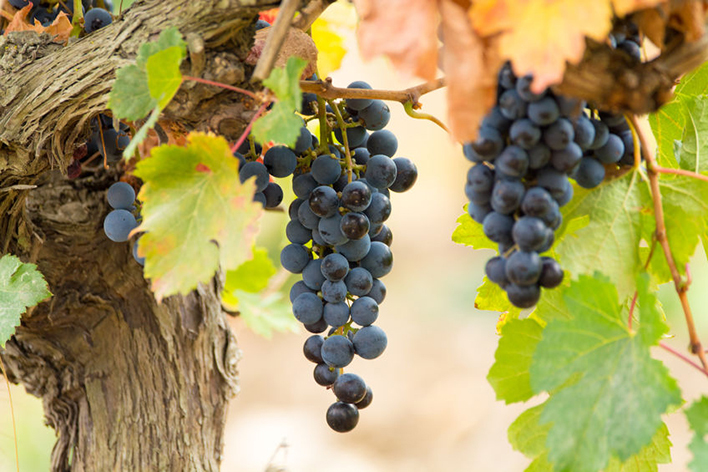 Under Roman rule in Southern France, the sweet, off-dry wines of what is now Provence, were popularized throughout the Mediterranean and the violet-hued rosé nicknamed “claret” was established as a French staple. 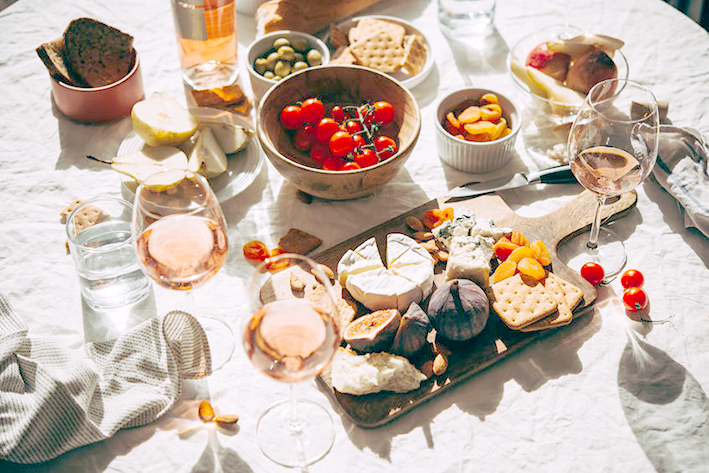 Rosé’s distinctly calming color, which ranges from a pale peach to deep-pink red currant, starts with red-skinned grapes. 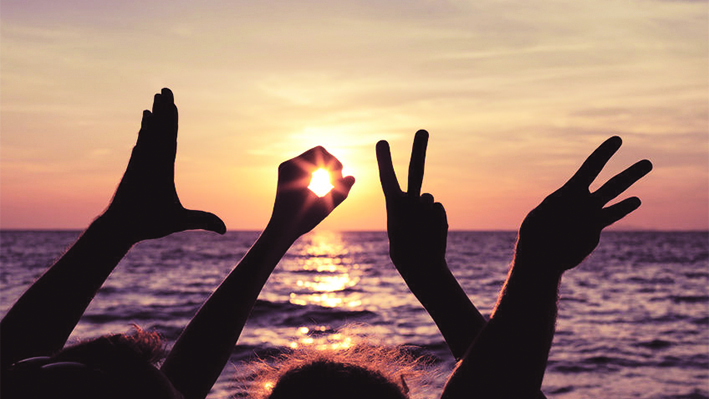 True to its free-spirited vibe, there’s no limit as to which grapes can be used in the rosé-making process. Fruity rosé often comes from pinot noir or malbec varietals, while drier, fuller bottles are made from Cinsault or Grenache. Out East grapes, for instance, come from vines grown in the clay- and limestone-rich soils of La Provence Verte (“Green Provence”), giving the wine a brightly intense flavor. To lend rosé its front-facing refreshing taste, growers harvest the grapes early and during cool nights, making for a smooth and seamless transition to crisp, chilly wineries. As it’s pressed or after it’s pressed (or, in some cases, during both processes), the juice of the grapes comes in contact with the red grape skins. The skins break down and mingle with the juice, resulting in a pink color and tangy taste. Both the blush of the wine and the depth of its flavor profile can be tweaked by the winemaker’s choice of temperature and maceration time (or how long the grape skin is allowed to break down). Usually, the skins and stems are removed after about 2 or 3 days, while darker red wines allow them to linger longer. Ultimately, this process makes for a light-bodied, easy-to-drink glass of wine with notes that can range from floral to savory to candy-like. No wonder the Council of the Wines of Provence reports that one of every three bottles of wine purchased is a bottle of rosé. It must be that no one wants summer to end. In addition to owning a small business, Dan Ketchum’s experience spans from fashion to teaching to mixology and bar management. In the food world, he’s collaborated with the likes of Kellogg’s, JIFF and Kroger, with his work appearing in publications such as Civilized Life, GlobalPost Food, Livestrong Food and Drink and ModernMom Food, among others. Dan has been a freelance writer since 2009.